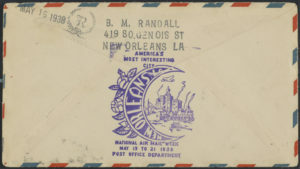 Title: "New Orleans, La, America's Most Interesting City. 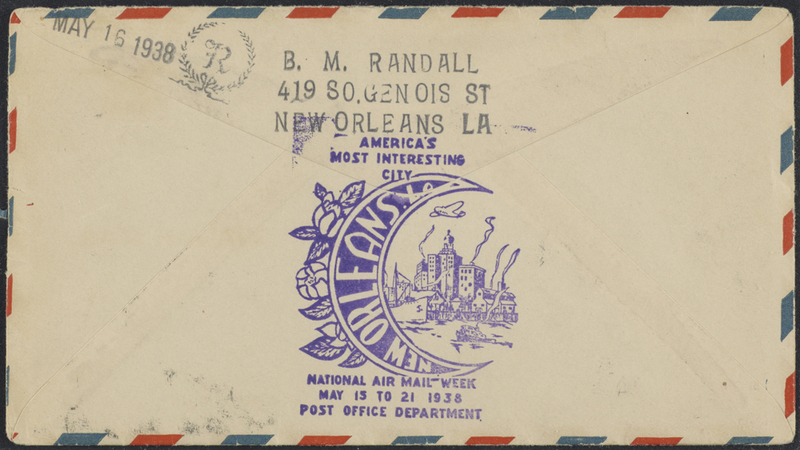 National Air Mail Week, May 15-21, 1938, Post Office Department." 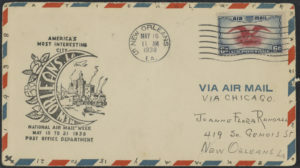 Postmarked May 16, 1938. “New Orleans, La, America’s Most Interesting City. 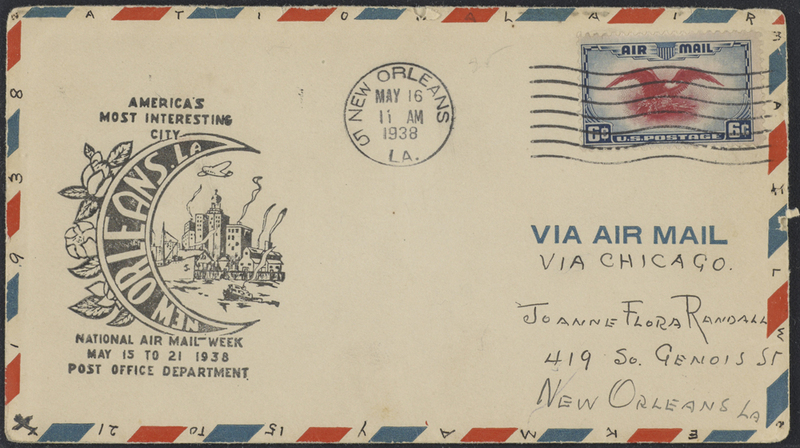 National Air Mail Week, May 15-21, 1938, Post Office Department.” Postmarked May 16, 1938.